Book a Last Minute Deal at Ramside Hall Hotel, Golf & Spa now from £89.00pp! 1 in 16 goes free between 1st November 2018 and 31st October 2019! Ask one of our sales agents about exclusive use of Ramside Hall's course side Farmhouse accommodation! 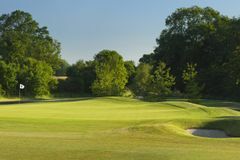 The Cathedral Course has been built on rolling countryside between the villages of Belmont and Pittington with breath-taking natural features including ridges, becks and valleys. The course extends out over a broad hilltop with views of Durham Cathedral and as far afield as the Angel of the North in Gateshead, before dropping down into a valley and rising up again to return to the parkland estate where its closing holes end back at the clubhouse and hotel. The hotel accommodation is of the highest standards with a whole host of options for our guests, including our new wing of 47 premier rooms and our acclaimed Celebration Suite with its free-standing copper bath. The hotel also offers a range of superior doubles and twins as well as deluxe room and our new junior and premier suites. Add into the mix a range of banqueting rooms suitable for meetings, conferences, weddings and events of all sizes plus our fine dining and casual eating options and you really do have everything you need in one fabulous resort. But don't just take our word for it - we look forward to welcoming you in person. Room was spacious and very comfortable. Hotel facilities were excellent and well maintained. Meals in the carvery had plenty of choice and changed over the two nights we stayed. Could upgrade to the Rib Room Steakhouse which seemed fairly expensive. The hotel well we’ll situated just 5 minutes off the A1 and easy to find. Also handy for Durham which was only 10 minutes drive away. Overall an excellent venue for a short golf break. This was an annual golf outing consisting of 18 members travelling from North of Glasgow and I must say that travel, directions etc were easy, with Ramside Hall very simple to find with or without SATNAV. Ramside Hall Hotel boasts 2 golf courses; The Prince Bishop and The Cathederal and both courses were in good condition, especially considering they had been shut due to floods. Well done to the green keepers! I would argue buggies are a must on The Cathederal based purely on the distance between some of the tees. It is walkable but it still took 5 hours with a buggy so recommendedfor sure. The course layout was well structured and more than suitable for all abilities. The Clubhouse / 19th hole was clean, tidy and all the staff were well mannered and polite, happy to chew the fat and have a banter which is always a plus. Prices were as expecteed and the 10% discount was applied in the Golf Club but not the main hotel, a minor failing that could be addressed! Our package with 2 nights DBB and 3 rounds of golf offered unbeatable value and with 1 person free with 16 players, that meant even more prize money and further good value. The majority of the group have been attending annual outings since 2010, having stayed at Celtic Manor, The Belfry, Slayley Hall, Carden Park and one venue abroad and this was definitely in the top tier with an overall score of 9 / 10 and most members stating they would like to return in the future. Several of the events listed above have been booked via Your Golf Travel and I cannot commend them enough. Great service, great deal, friendly, on hand for last minute changes…in fact so good I have today booked for next year! Course was a challenge, green well protected by bunkers. But considering it was early November the course was in good condition, green maintenance had taken place so they were bumpy. Another good challenge of golf with quite a number of holes with water to carry. Good fun course and also still in good condition for the end of October. Would definitely return for future golf breaks. This is the newer course of the two but still in good condition in October. Some long travel between green and next tee on some holes. Good challenge for all levels of golfer as there were 4 or 5 tees to choose from depending on your handicap.